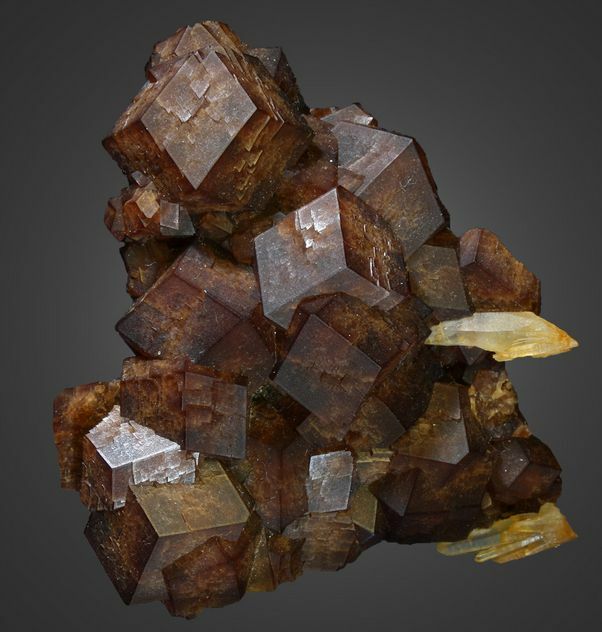 Hemimorphite crystal sprays on matrix. 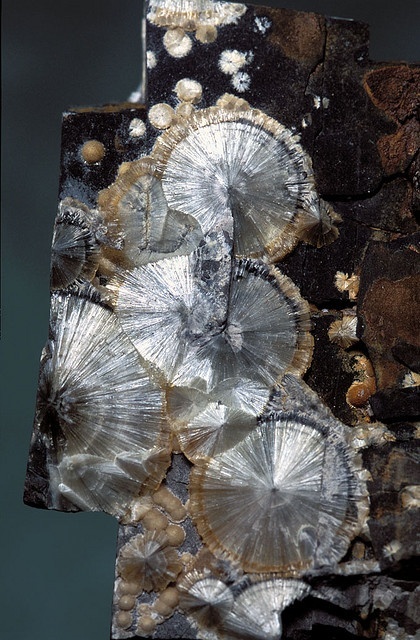 Hemimorphite crystal sprays on matrix. 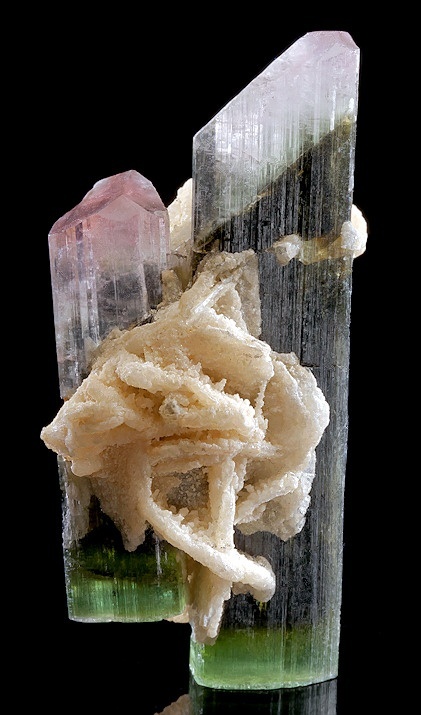 From the Ojuela Mine, Mapimi, Durango, Mexico. 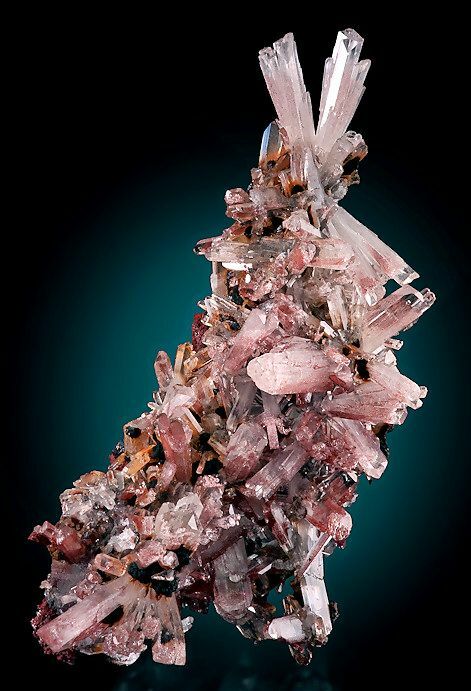 The Hematite component is the colorant in these glassy crystals & presents itself as shades of pink, red & brown. The surface luster is very impressive & almost every crystal is terminated. Measures 7 cm by 3.6 cm by 3.2 cm in total size. 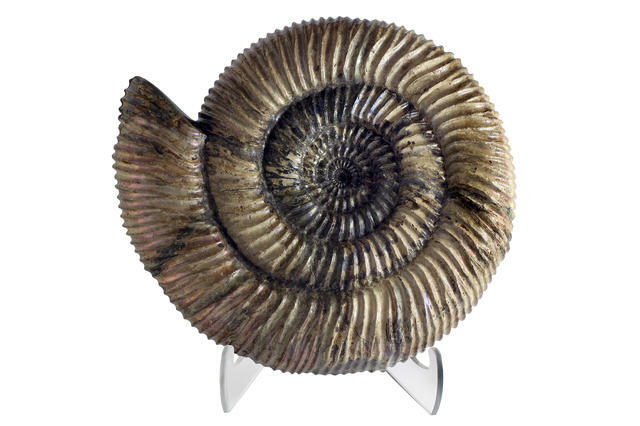 A Red Ammonite, Craspedodiscussp., Volga River Formation, Russia, Jurassic period (146-208 million years old). Estimate £1,500 – 2,500 (€1,900 – 3,200). Photo Bonhams. On a perspex display stand, 8ins. (20cm) wide. 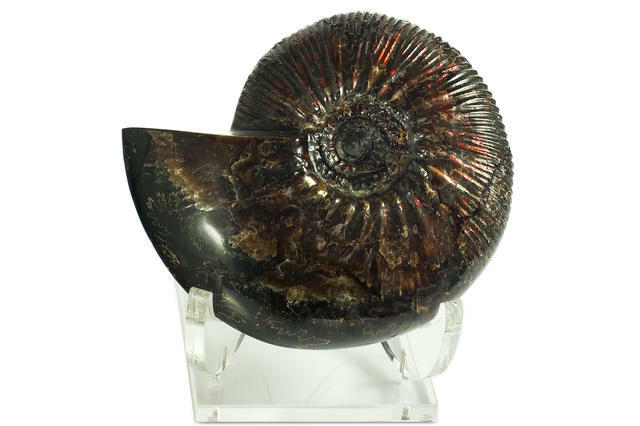 Note: This rare ammonite displays a partially ribbed and thick natural nacreous shell, with a subtle red iridescence. 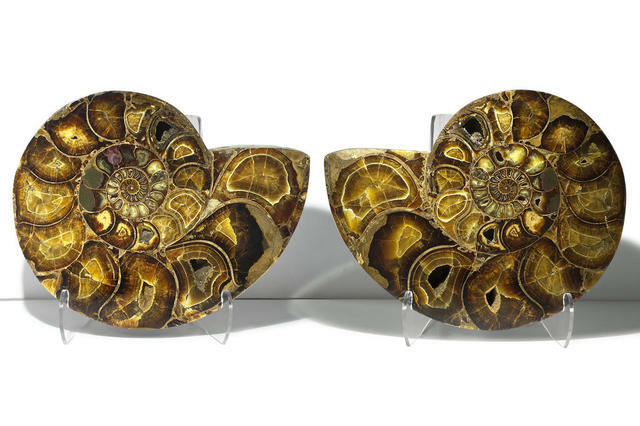 A pair of Split Caramel Ammonites, Perisphinctes sp., Madagascar, Cretaceous period (135 million years old). Estimate £1,500 – 2,000 (€1,900 – 2,600). Photo Bonhams. 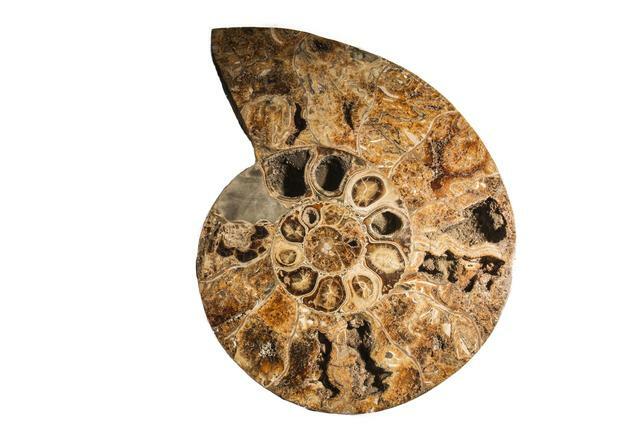 A Giant Ammonite, Madagascar, Jurassic period (208-146 million years old). Estimate £1,500 – 2,000 (€1,900 – 2,600). Photo Bonhams. A Pink Ammonite, Speetonicerassp. 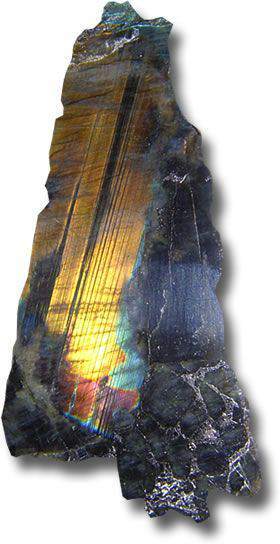 Saratov Region, Russia, Jurassic period (146-208 million years old). Estimate £2,000 – 3,000 (€2,600 – 3,900). Photo Bonhams.